Last year, I had the notion of possibly adding heritage pigs to our homestead. After weighing the benefits and the commitments, we decided the timing wasn’t right for pigs for us. Last spring, we welcomed Iseabail, our newest heifer. Iseabail was our second heifer in two years. We were really hoping for a bull this year to harvest for beef in a couple years. Now, we have a herd of four, which will soon be three, in a few months when we harvest our first Scottish Highland steer to fill our freezer. We decided last year to not breed Momma cow again. We still are unable to comfortably handle her. We worked on handling Holy Cow, who was born two years ago. 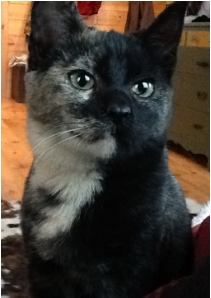 She is much more amicable to humans and loves the attention. We contemplated breeding her this Spring. After thinking long and hard about our cow venture, we have come to the conclusion to probably not breed again. Our goal with the cows was always to have our own beef. That goal remains unchanged. We have decided to sell the Momma cow, and both heifers. Once we do, we will re-group and start over again with the focus on having a steer for beef. When we embarked on our chicken adventure two years ago, Bucky never imagined that all 21 chicks would survive. He was kind of right – we lost two to natural causes, leaving us with our current flock of 19 hens. Last summer we were drowning in fresh eggs; this past December, egg production pretty much stopped. Our chickens were going through their first moult. This was my first experience with moult, so back to doing research and educating myself about what was happening with my hens and what would the future with our chickens look like. Do we need 19 hens? No. Do we need 1 ½ dozen eggs a day like last year? No. I had thought about eating some of them. We are buying all natural feed for our flock of birds with no reward for possibly months to come. After pondering the layer hen situation, I decided to wait out the lack of egg production until Spring. At that point we still may consider culling our flock to a more manageable number. As I write this, the hens have slowly started laying again, now that their moult is almost over. Another decision that I made was to freeze eggs during peak production, so I have them on hand during their next moult, for baking, omelettes, quiches, etc. (See below on how to freeze your eggs). In 2017, we have some modifications to make with our cow herd and our flock. Having a homestead and growing your own animals for food requires periodic evaluation of not only your animals, but your goals with them and your goals for yourself. The past two years have been a huge learning experience and I would not have traded it for anything. As we continue on this journey, there is always much more to learn about not just our animals, but also ourselves. You can choose to freeze yolks and white separately, or together. I chose to freeze the whole egg together. Crack as many eggs as you with into a freezer safe container (I use a Tupperware-style plastic container with a lid). Eggs cannot be frozen in the shell since they will expand and break. GENTLY stir the yolks and whites together. Try not to beat a lot of extra air into the mixture. When you are ready to use your eggs, allow them to thaw in the fridge. ***Alternate freezing method*** You can also pour the scrambled egg mixture into individual ice cube trays. Just pop out a couple cubes anytime you need just an egg or two for a recipe. (Editors Note: I typically freeze eggs in quantities of two per container and use smaller freezer containers. That is typically what I use for baking and cooking and that way I do not thaw more than I need to, at one time. (Ingredients for filling are a recommendation. 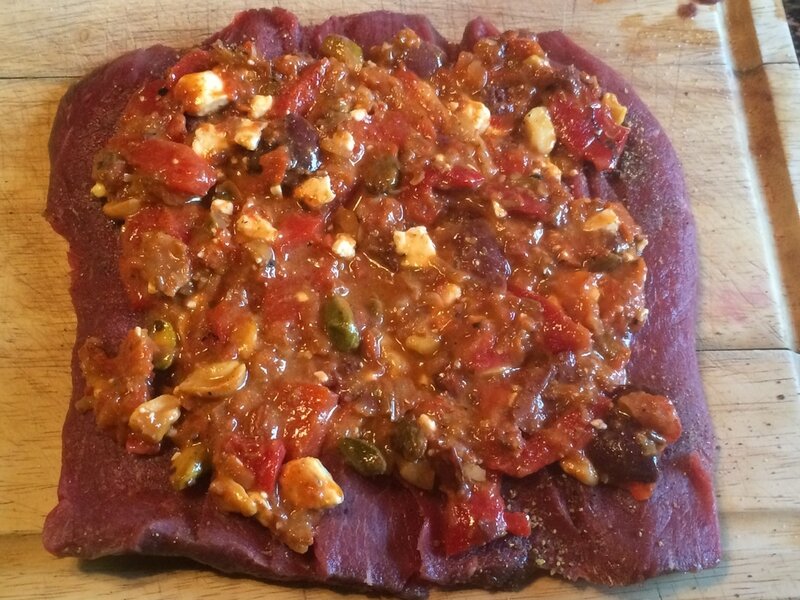 Experiment with other flavors that you like to customize recipe to your taste. All seasonings are to taste). 2. 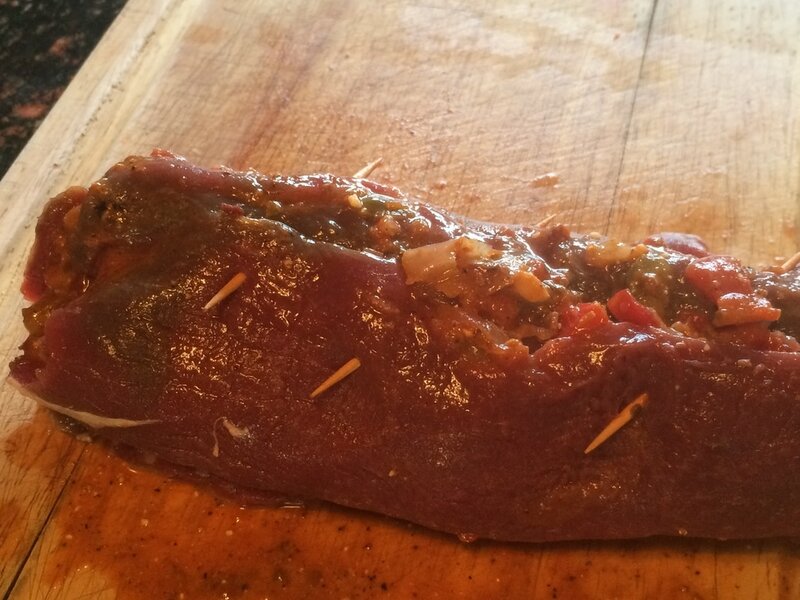 Start cut on loin about 1/4” from top, cutting lengthwise to within ¼” – ½” of the other edge of loin. Unroll what you have cut, then do the same cut in the opposite direction. 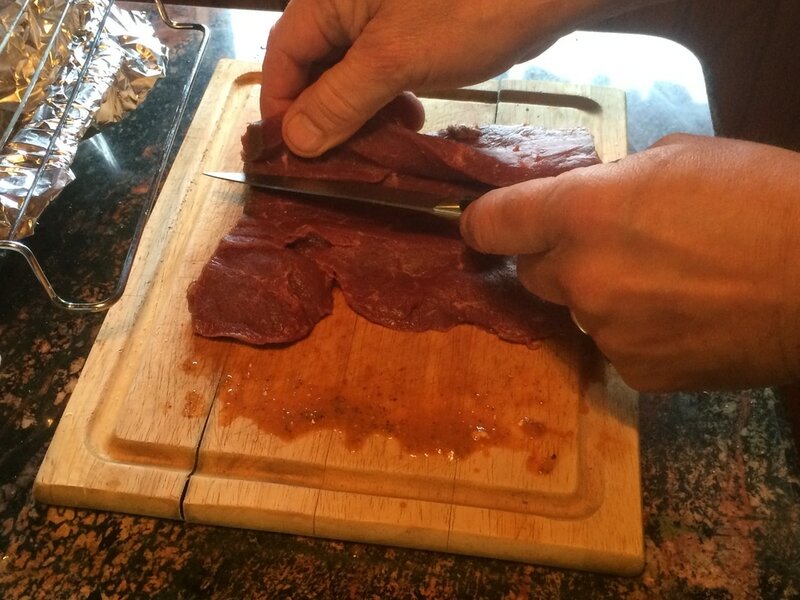 Repeat cuts until the loin is flat and unrolled. Loin should be about ¼” thick. 3. 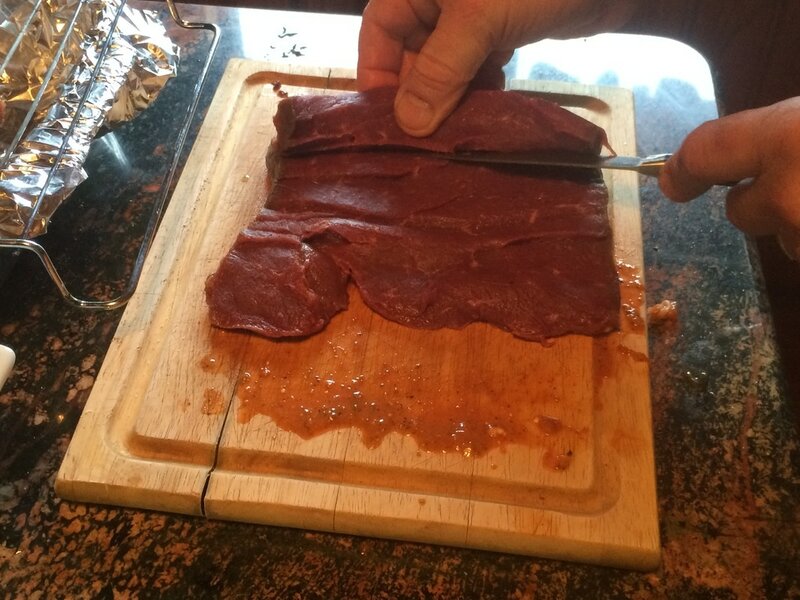 Lay loin out on cutting board. 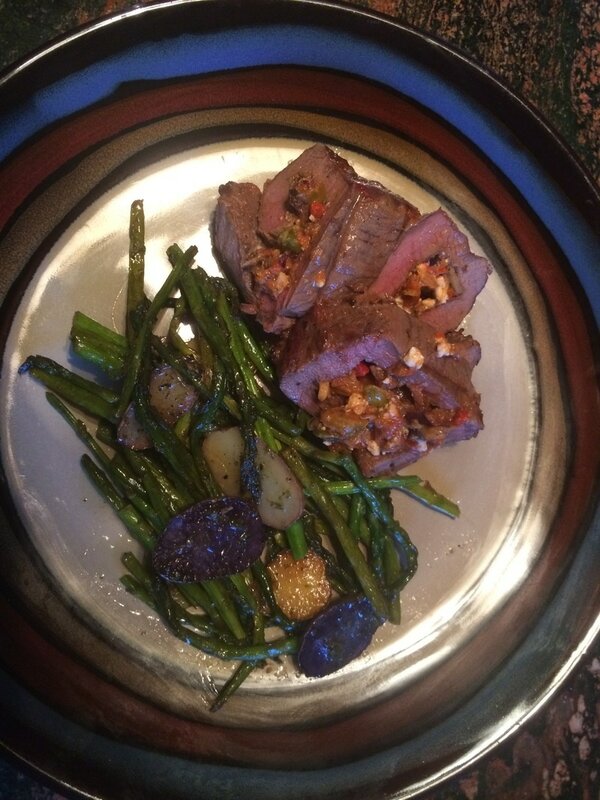 Lightly season with Lemon Pepper. Set aside. 4. In a medium bowl, mix all other ingredients. Add only enough olive oil to mix ingredients and help bind. If using a spread, it is not necessary to add olive oil. 5. Spread an even layer of mixture onto the loin. Don’t spread so thick that you can’t roll it. 6. 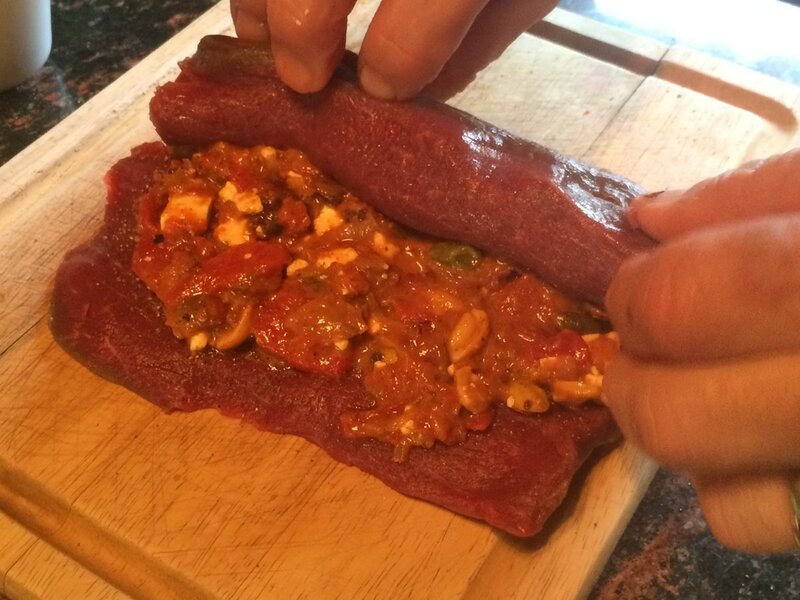 Start rolling your loin as tight as you can, slowing rolling and tucking filling in, as needed. Secure roll with toothpicks. Lightly rub roll with olive oil. 7. 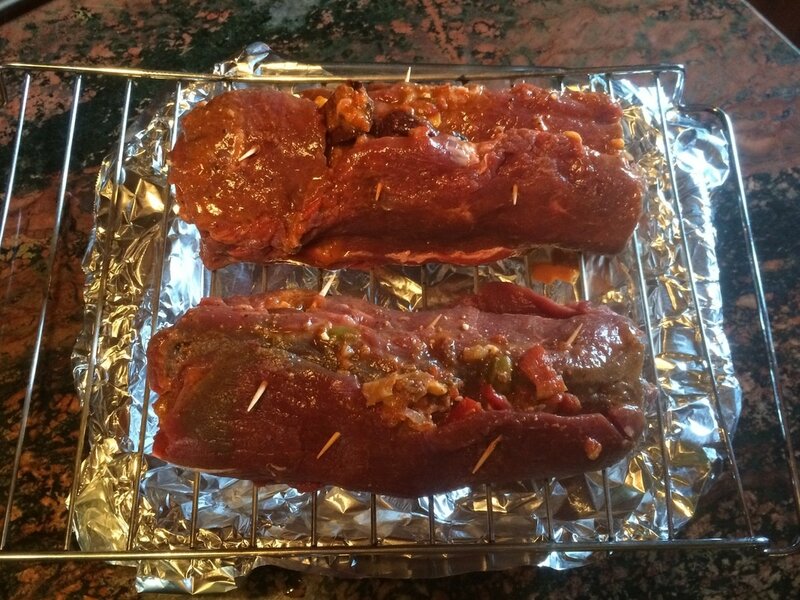 Place rolled loin onto a wire rack in a roasting pan. Bake in a pre-heated 400 degree F oven for 15-20 minutes or until the interior temperature of the meat is 130-140 degrees F. Half way through baking, turn roll over so it cooks evenly on both sides. BE SURE NOT TO OVERCOOK! 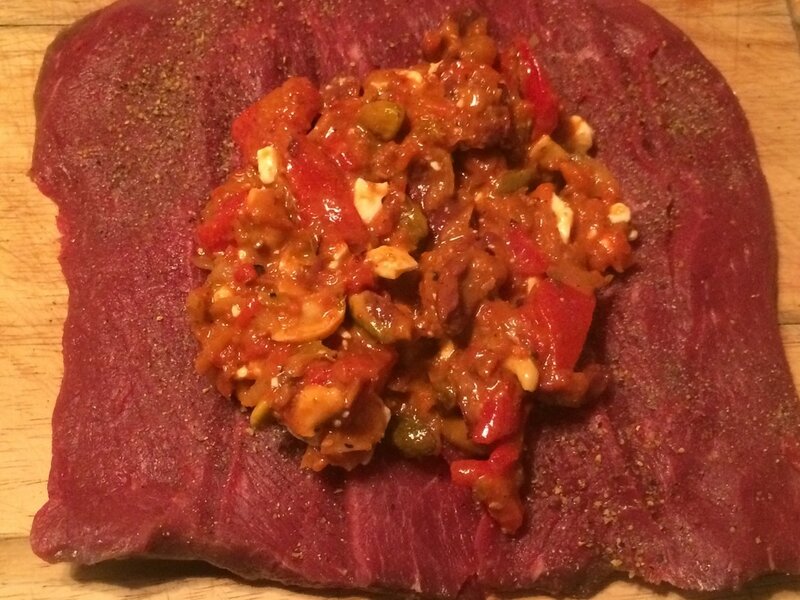 Venison should be served at a medium wellness. 8. Remove from the oven, carefully remove toothpicks. 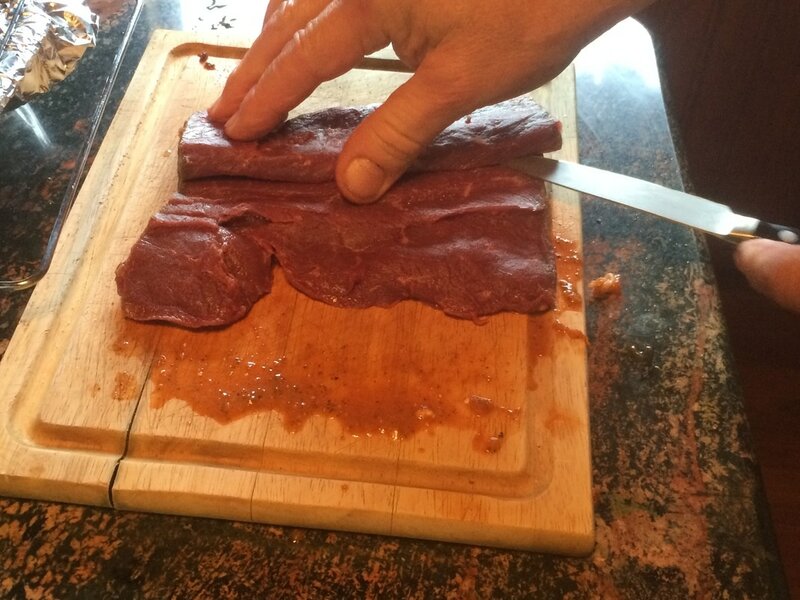 Cut stuffed venison loin roll into ¾” – 1” slices, on the bias. Lemongrass essential oil has a multitude of properties: antifungal, antibacterial, antiparasitic, anti-inflammatory, regenerates connective tissues and ligaments, dilates blood vessels, improves circulation, promotes lymph flow. Lemongrass is used as aromatherapy to relieve muscle pain, externally to kill bacteria, ward off insects and reduce body aches, and internally to help the digestive system. Can also be used for flavoring soups and tea, adds fragrance to cosmetics and soaps, and homemade deodorizers. Lemongrass essential oil has a light fresh lemony smell with earthy undertones. 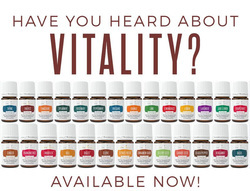 It is stimulating, relaxing, soothing and balancing. It can also for detoxifying, headache relief and menstrual cramps. Lemongrass Vitality™ essential oil (Cymbopogon flexuosus) not only invigorates senses with its bright, lemony scent, but it can also support wellness. The delicate citrus flavor of Lemongrass Vitality oil complements many dishes—especially Asian recipes—and can be incorporated into your seasonings for meals in various cuisines. To keep hydrated while enjoying the benefits of Lemongrass Vitality, add a couple of drops to a glass of water or a hot cup of complementing tea for a zip of flavor. Lemongrass oil benefits also include pain and ache relief. The oil helps to improve blood circulation, and can therefore relieve muscle spasms, back aches, sprains, and cramps. Try rubbing diluted lemongrass oil on your body or make your own lemongrass oil foot bath. Lemongrass oil or tea has been used as a detoxifier in several countries. It is known to detox the digestive tract, liver, kidneys, bladder, and pancreas. Because it works as a diuretic, consuming lemongrass oil will help you to flush harmful toxins out of your body. Keep your system clean by adding lemongrass oil to your soup or tea. 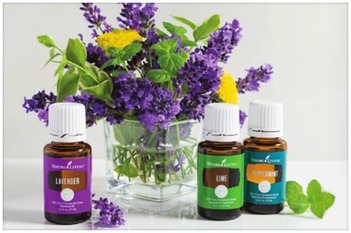 Make your own lemongrass tea by adding a few drops of essential oil to your tea. 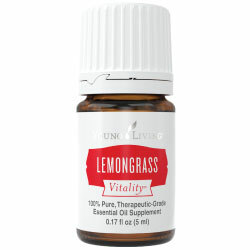 According to Melissa Shelton, DVM - author of The Animal Desk Reference, Essential Oils for Animals, Lemongrass is used in animals for a variety of conditions. It has powerful antifungal action, regenerates connective tissue and ligaments, improves circulation, promotes lymph flow, is anti-inflammatory, antibacterial, anti-parasitic. It is specifically used for bladder infections, respiratory and sinus infections, cruciate injuries, muscle injuries, Salmonella, MRSA, fluid retention and edema, digestive issues, and parasites. 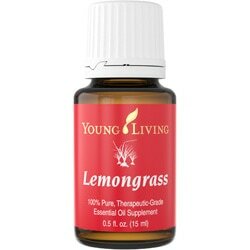 Lemongrass is a rather "hot" oil when applied to animals topically, and is generally used diluted. Lemongrass is yellow in color, and will stain light and white colored animals temporarily. 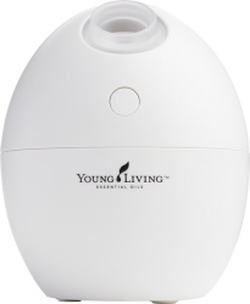 Birds: Lemongrass can be used via water-based diffusion (starting with 2 drops added to the diffuser), including caging and tenting techniques. Dogs and Larger: Lemongrass is most commonly used with air and water diffusion, direct topical application (often diluted), Petting (neat or diluted), and water and oil misting.